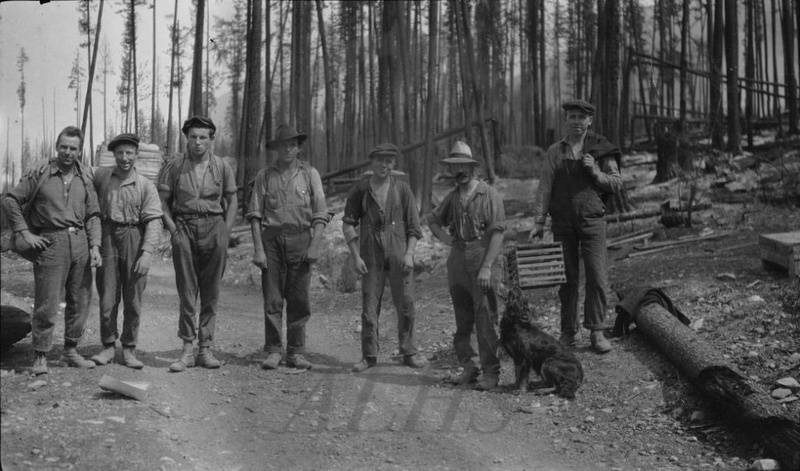 Logging crew, Demars, 1924. L-R: Frank Coates, ? Jeffery, ? Blahut, ? 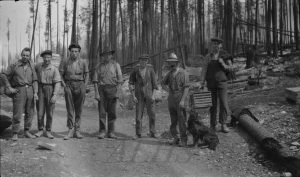 Blahut, Miller from Burton, Fred Job, Carl Fesser.